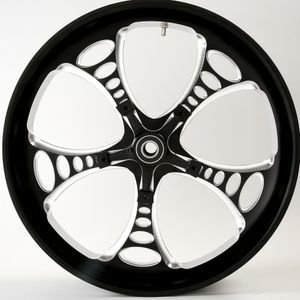 Since 1998, Southern Machine has been the leader in manufacturing and engineering custom Harley-Davidson Chrome and Black Contrast wheels and a variety of other after-market wheel components. We are pleased to offer our 2017 updated website, featuring several new accessories along with our high quality custom black contrast wheels, chrome wheels, and our brand new 2017 True-Floating rotors. We are committed to 100% customer satisfaction with our easy return policy, live technical support and knowledgeable staff. We proudly manufacture our products in the USA, and strive to bring our customers the finest custom motorcycle wheels and parts available.